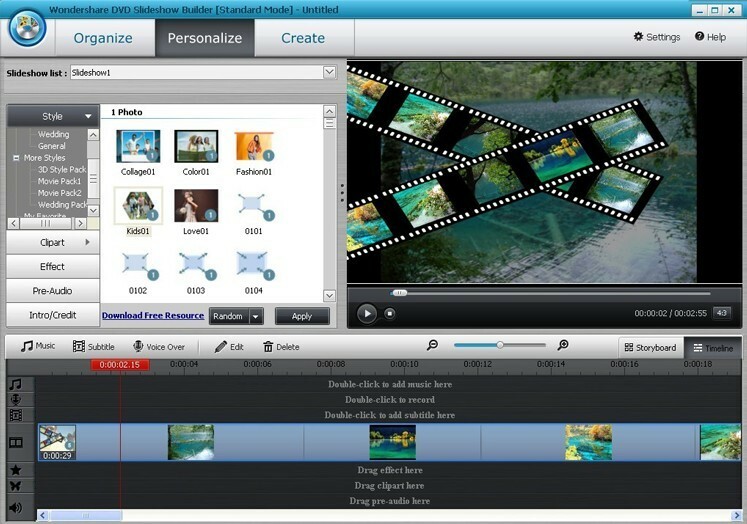 Wondershare DVD Slideshow Builder Standard is a simple and easy to use application that can be used to create compelling DVD slideshows and videos from still photos with feature rich content such as background music, transitions, clipart images, titles, credits, Hollywood-like movie styles, and many other special effects. The application is split into three separate sections: organize, personalize and create. 1. Under the organize tab, you can add image or a batch of images for your slideshow from computer, connected camera and other devices. 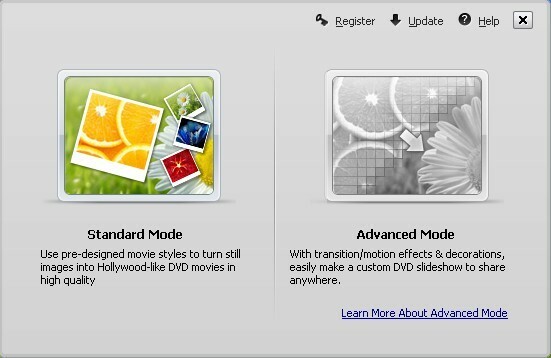 DVD Slideshow Builder Standard supports all popular image formats such as GIF, BMP, JPEG, JPG, PNG, TIF, TIFF. 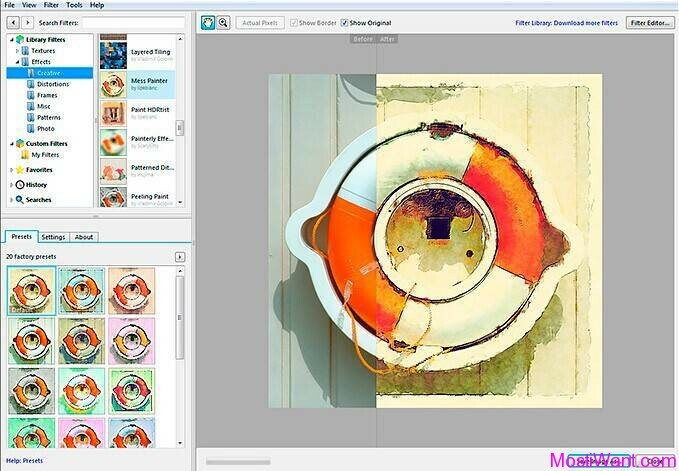 For each image you can turn left or right, access additional editing functions, delete the image, or re-order the images by dragging them around. Click ‘Expand’ button to have a larger view to organize photos. 2. Once your photos are added, you can move over to the personalize section where you can add special favorite styles to photos and combine these styles optionally to make a personalized photo movie. Besides, DVD Slideshow Builder Standard includes lots of visual effects, funny cliparts, sound effects and animated Intro/Credit clips. All is ready-to-use, simply drag and drop to add to your movie either for fun or for professional-looking. 3. 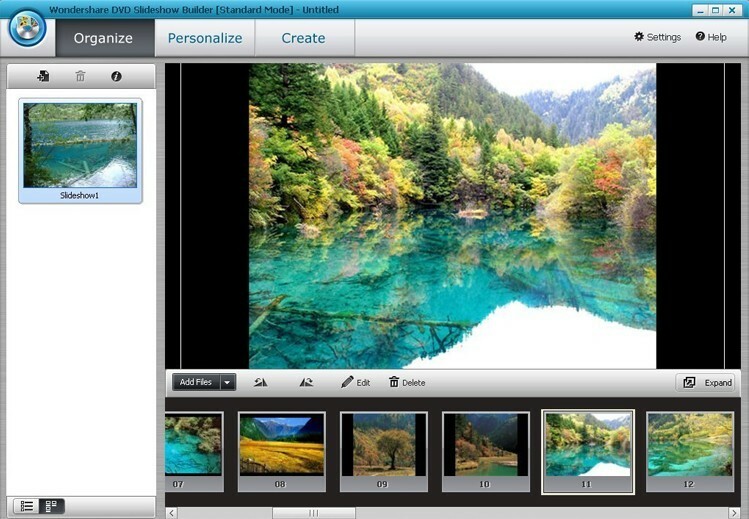 Finally, after you have put the finishing touches on your photo movie, you can head over to the create section which allows you to publish your slideshow. This section works in a number of different ways depending on how you want to share your slideshow. To share on TV, burn your movie to DVD with a good-looking DVD menu (of course you can make a DVD without menu) ; To share on web, say Facebook, you could either select Save to Computer or save to HD; And if you want to watch created movies on mobile devices, simply select Save to Mobile Device (Blackberry, Android,Nokia, Windows Mobile) or to an Apple based device (iPad, iPod, and iPhone). You can find some Photo Slideshow Samples from this link. Wondershare Soft is sponsoring 5 Registration Code of Wondershare DVD Slideshow Builder Standard for this giveaway, each of which valid for $39.95. To win a license simply share this offer on any social networking site and place its status URL here in the comments below. The Giveaway will end on 25th May.2011, 12:00 PM GMT. I will announce the winners before 26th May. Free registration code will be sent to the lucky ones as soon as possible. At last, Thanks Claire from Wondershare. Sorry for the late to announce the winners. 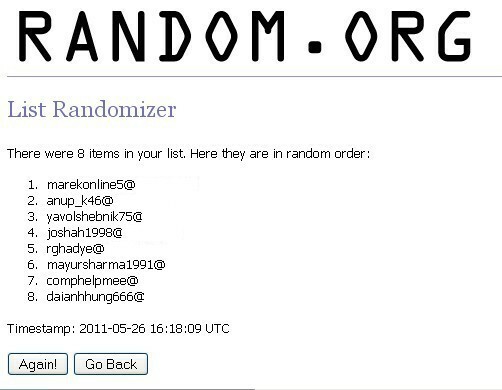 Below is the list of 5 lucky winners generated with the help random.org, I congratulate these winners and I will send the registration code for Wondershare DVD Slideshow Builder Standard to the winners ASAP. The lucky winners are: (The First 5 persons, and Email domain is removed to prevent spam bots from harvesting). All keys have been sent to the winners’ email, please check your email for it. thanks for the giveaway. 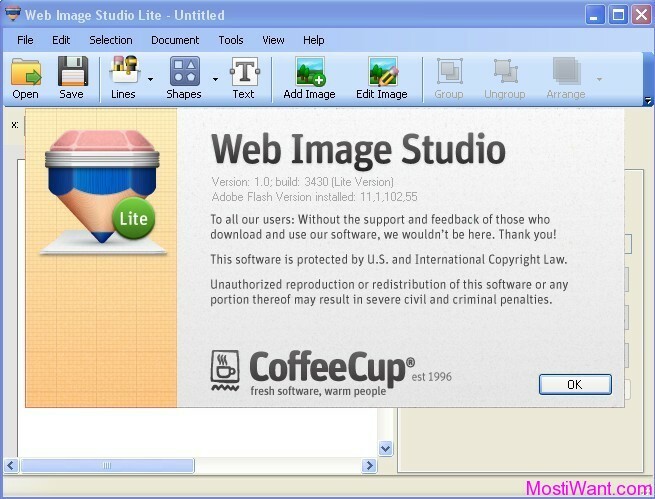 its a very nice software which can help us in creating wonderful slideshows of some of our memorable photos.it has lots of features which are very much useful in creating nice slideshows.surely want to have this one with me. very good software! thanks for nice software and great giveaway! thanks!